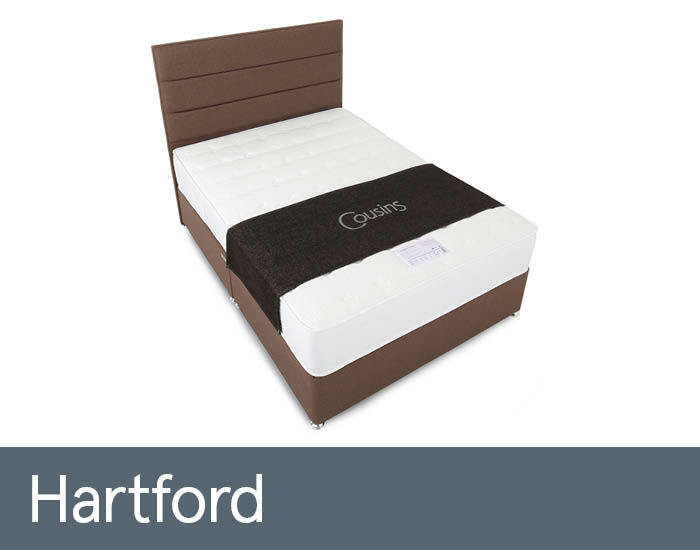 The Hartford range is part of the exclusive Cousins Bespoke collection, including an open coil mattress with a Tencel cover made from natural raw materials and designed as irritation free against sensitive skin. The bonnell sprung mattress compared to the sprung one has fewer, larger springs, linked together so as to create firmer support. The Hartford range is available in Single, Small Double, Double, King and Super King Size. Matching headboards are also available.